Las Cafeteras create a vibrant musical fusion with a unique East LA sound and a community-focused political message. Their Afro-Mexican rhythms, zapateado, and inspiring lyrics tell stories of a community who is looking for love and fighting for justice in the concrete jungle. 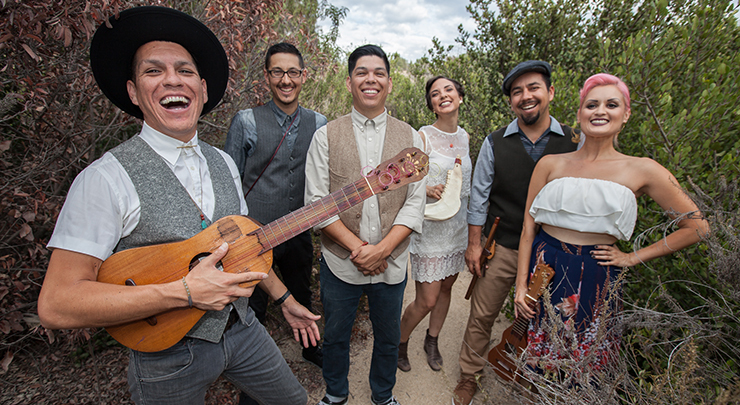 A remix of traditional Son Jarocho sounds, the band adds Afro-Caribbean marimbol and cajón, poetry in English and Spanglish, and instruments like jarana, requinto, a donkey jawbone, and a wooden platform called the Tarima.